to TurnerClan.org Where things Turner will be kept! If anyone who is part of the Turner extended family wants something posted here. Please let me know. If you want me to link to your page. Send me the link. You can send an email to sturner(Att)turnerclan.org or click on the following link --->Webmaster. 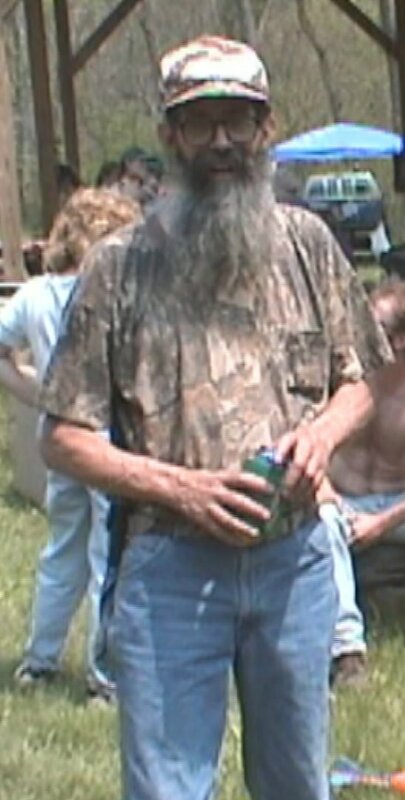 I have added a BLOG at turnerclan.org/blog , It also exists at stanleyturner.com. Since it is easier to update the BLOG than to update this main page. I reccomend that you check it out for any information I put there about the cabin. I plan to update it peridocally so keep checking on it. If any readers of this site would like to be able to add to the blog using just their web browser. Send me an email and I will add you as a registered user. While we cannot stop adults from hurting themselves. We can attempt to prevent children from being injured by 4Trak accidents. 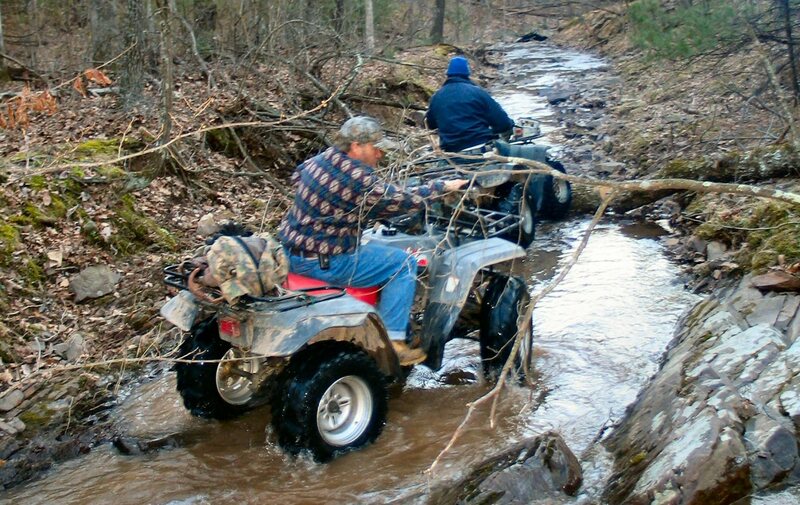 According to The ATV laws of Virgina "No child under the age of 12 can legally operate an ATV". But, according to Section F.2, it does not seem to apply to landowners. I have discussed this with various members of the TurnerClan as to what the rules should be concerning children riding ATV's. No child under age 12 can drive a 4Trak. No one under age 16 will be allowed to carry passengers. If a child breaks these rules, The ATV key may be immediately confiscated and the child's parent will have to recover the key. This and other rules will be posted at the Cabin. For other news. I have moved the turnerclan web site to a new web host at 1and1.com. The site now has room for 100Gb of data and supports all sorts of web email options. I have moved all the Video links to my VideoFiles Page. The Shoot 2008 Happened. 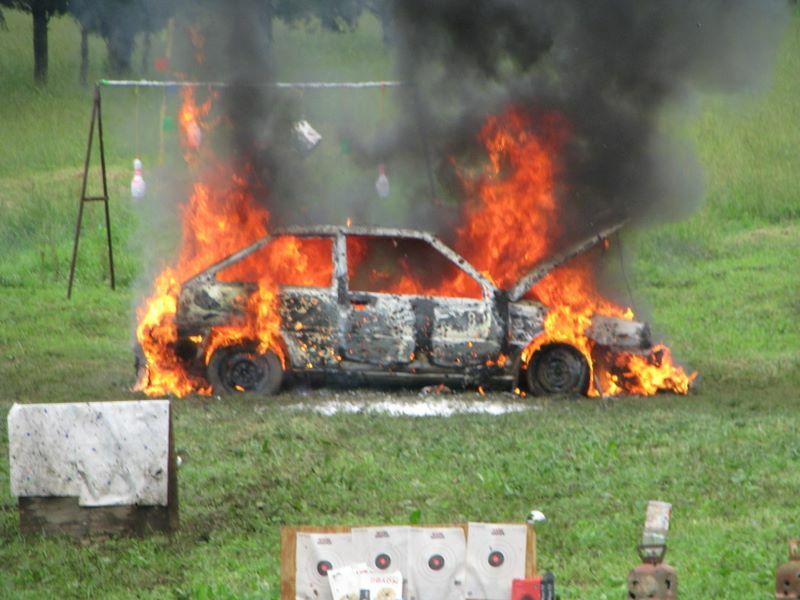 Some hot casings went down a neck and a car died. Spring Fling Inspired me to work on my laptop while 4 tracking. 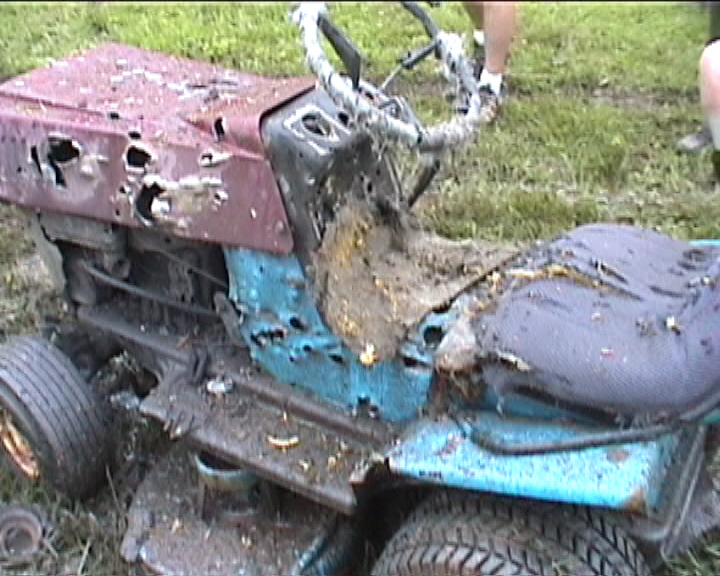 A lawn mower suffered at the June 2003 Shoot, Pictures are Here . The following are just links to pages I setup. Enjoy. 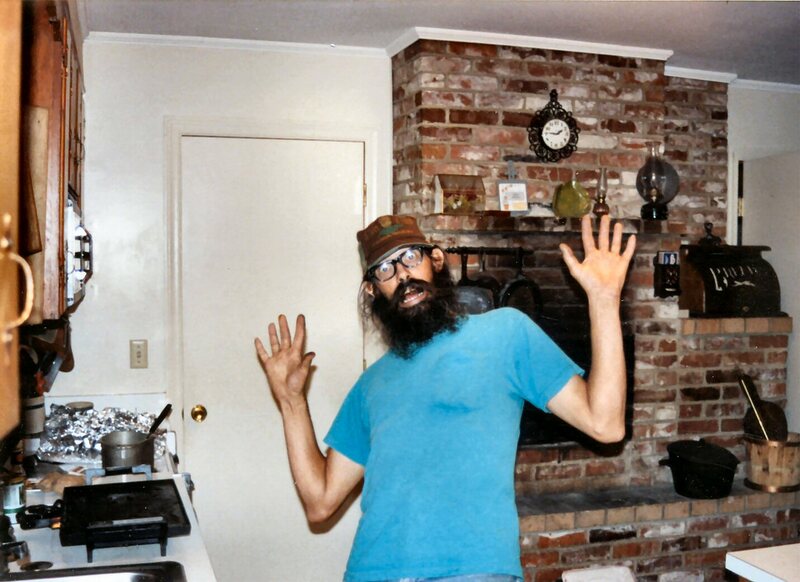 The Turner Farm which was built by Paul Froman in 1733, was in the May 24, 2001 Farm Article in the Winchester Star which they no longer provide the page. If anyone has the copy please get it to me. I have created a page called the CABIN PAGE. It will be used for any cabin information that any cabin person wants posted there.